Eight years ago Teo became a coach for CrossFit Central Downtown. 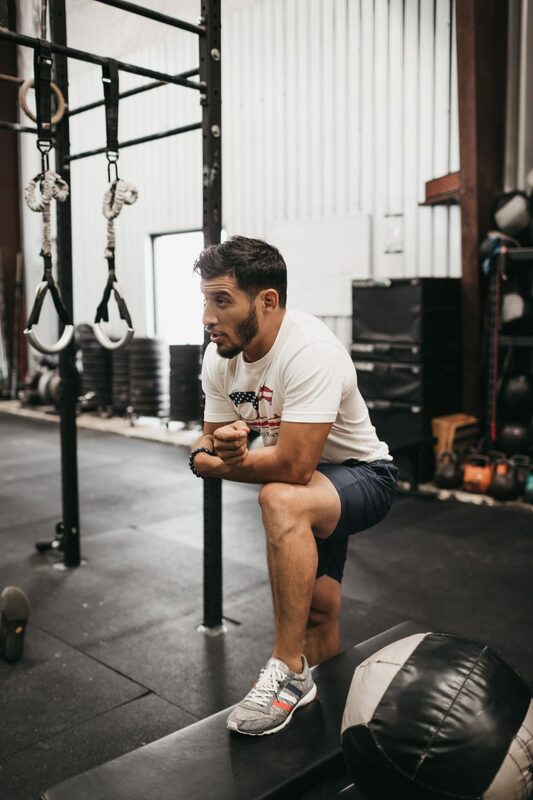 He is known for his work in the CrossFit Central Performance Training and his personal training business. Teo coaches a wide variety of people with various needs and goals. 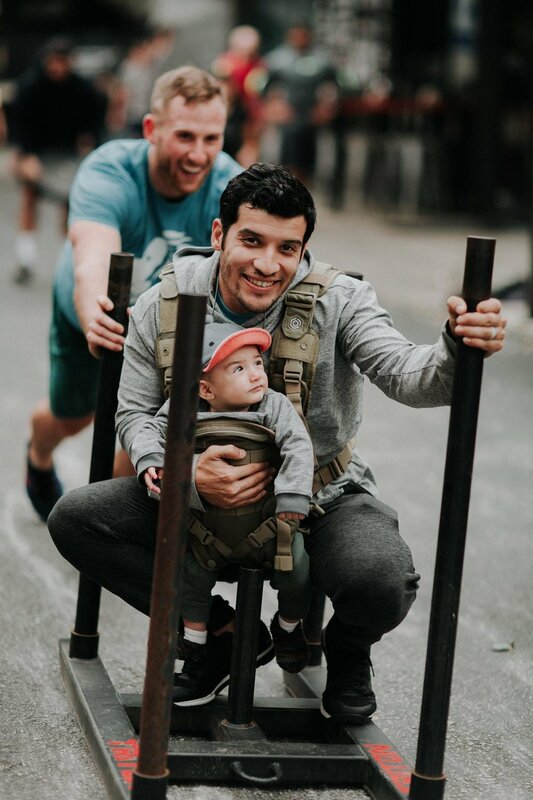 They range from young kids with down syndrome and 60+ men and women, to competitive CrossFitters, firefighters and those just looking to move and feel better. Keep reading to find out more about how Coach Teo pivoted from law school to professional coach, what he’s up to now, and his advice on what you should be doing every day. What is your story? How did you become a coach at CrossFit Central? I grew up in a trailer park. There was one way in and one way out of that place. I played basketball and football everyday with some of the most athletic kids the world never got to see because they would ultimately give their life to gangs and drugs. I made it out of the hood thanks to the guidance of my father, mother, brother and sister. They paved the road of academia and I couldn’t let them down. I played as much sports as possible in junior high and high school. I played football, baseball, track, cross country and outside I dabbled with tennis, soccer and basketball. I loved sports and everything that came with it. I didn’t realize it at the time, but sports is what kept me out of the hood and out of trouble. When the pursuit of college came around I didn’t accept a running scholarship because I was afraid — afraid of failure and afraid of leaving my family. It took me a few years to get over that but I found my focus, and it was school. Law school was what I had in mind and I wouldn’t let anything stop me. That is until I got the taste, the taste of helping a human in the most authentic manner. As I was finishing up my undergrad I helped a few high school buddies that were just returning from their academia career regain their health. I brought them back to their fighting weight and during that process they helped their families and others around. It opened my eyes to a profession that I didn’t even know was a possibility. After one semester in law school I stepped back and realized that I didn’t want to be a lawyer, I wanted to guide and empower humans in a more authentic and genuine manner. I wanted to be a personal coach. When I was 21 I got the opportunity to attend CrossFit Central with a group of guys from the valet company that I worked for. We trained twice a week with one of the best coaches in the game. We trained together, worked together and lived life together. It was the opportunity of a lifetime. Through that I guess I stood out because I was approached by the owner of CrossFit Central to be part of the team. What is the biggest lesson you’ve learned in the last decade? The biggest Lesson I’ve learned in the last decade is that we are all right. I know it sounds crazy. But we are doing what we know, with what we know at that time. I used to get SO caught up on trainers doing “wrong” exercises and it would drive me nuts, and many times create conflict. I soon took notice and had to step back, think, and realize that they were not the problem, I was. What is the most interesting thing you have done, or witnessed, in the last decade? The most interesting thing I’ve done and witnessed in the last decade is the evolution of me. I have had a group of humans beside me for as long as I can remember. They have been tremendously genuine. They have guided me and held me accountable throughout my life. I’ve set goals and made them public because I like to be held accountable for my words. The latest example I have is my bio. When I started at CrossFit Central eight years ago my bio said something along the lines that five years from now I want a beautiful family, and to own a house. A client brought it to my attention that I needed to update my bio because I had achieved what I set out to do. It blew my mind and gave me so much gratitude and fulfillment. In your personal training and your CrossFit Central performance training classes you coach a wide variety of people from kids to adults, competitors to weekend warriors, teens with down syndrome and adults in the 65+ age range. What are a few similarities you see in coaching these groups of people? The number one common denominator between everyone I coach is that they want to be a better version of themselves. They ask me to send them content, they want to read studies, they want to know why we do what we do. My clients are all students of the game life. Experience. My older clients have more order and discipline in their life, they also don’t have time to waste. They have developed a pattern of consistency. My younger clients are more sparatic. They like to try new exercises and test. How to you adapt your coaching to serve diverse populations? I adapt by being involved. I hang out with everyone I possibly can and am open to their thoughts and experiences in life. I read as much as I can, I listen as much as I can and I travel as much as I can. All of these things allow me to experience and relate. What advice would you give your ten year old self? Try harder. I did so many things in my life, I was fortunate, but I never gave attention and real effort to the things I excelled at. Anytime I had friction or something was hard, I disengaged and did something else. That’s how CrossFit changed my life — I couldn’t just walk away from a workout. What are the top three things, in your opinion, that everyone should be doing daily to better themselves? 3. Grateful, be grateful for having the opportunity to experience. I’m a huge Joe Rogan fan. I recommend listening to any episode with Jordan Peterson, Dr. Rhonda Patrick, Teddy Atlas and David Goggins. Also If you’re a coach, you need to follow my friends. It will change your life. There are a couple of people that drastically accelerated my learning — Dr. Pat Davidson, Dr. Ben House and Arron Davis. Go follow them.